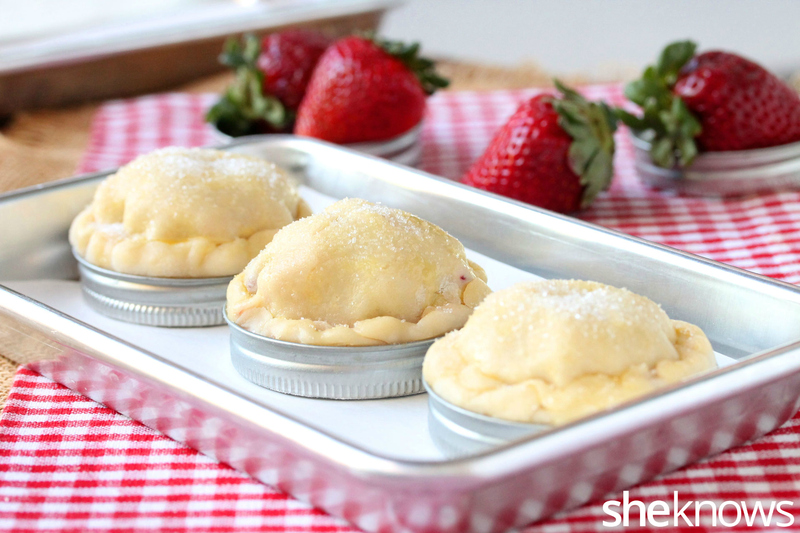 No need for pie pans when baking these cute little pies. All you need are Mason jar lids. I especially like how easy it is to remove the pie from the lid after it’s baked. Once the pies are baked and cooled just a bit, the bottom part of the lid can be pushed up and out of the outside ring and then completely removed from the lid. 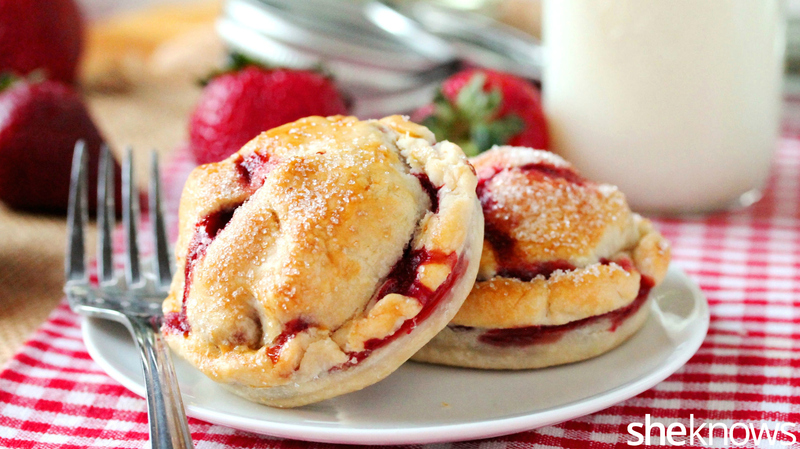 And just like that, the cutest mini pies ever. 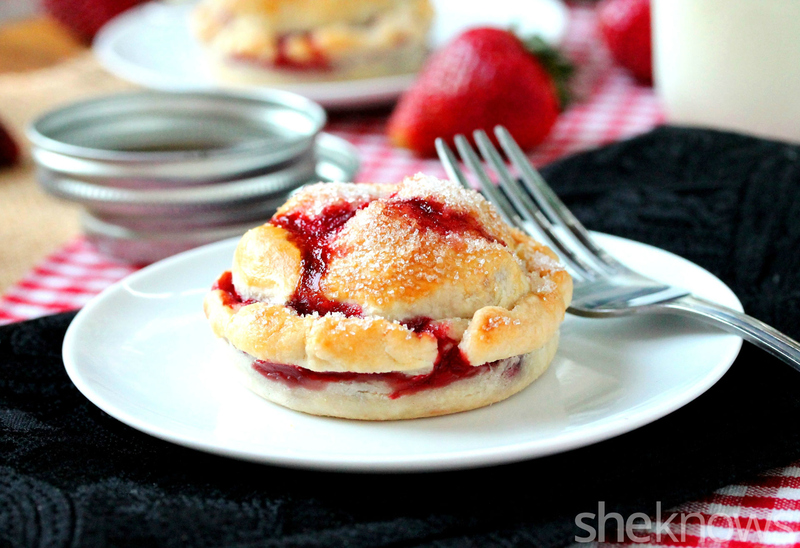 These are made with fresh strawberries, but feel free to make them with other berries too. 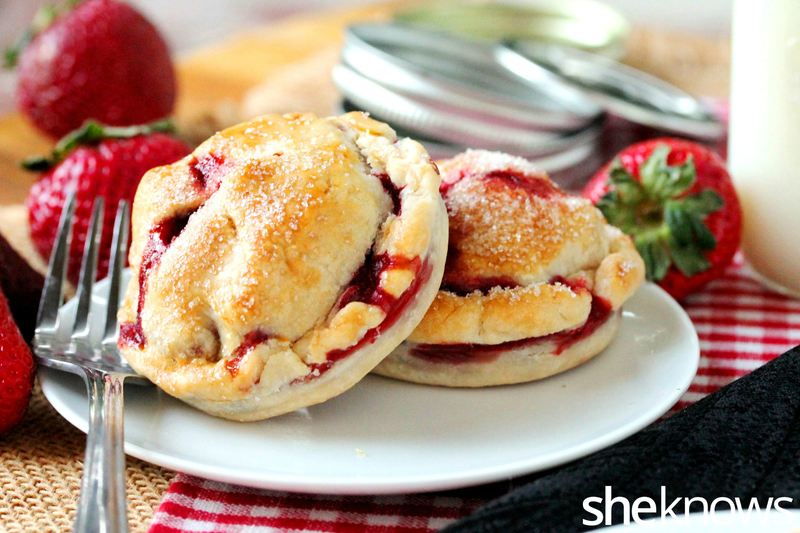 To make these cuties, start by making the filling. 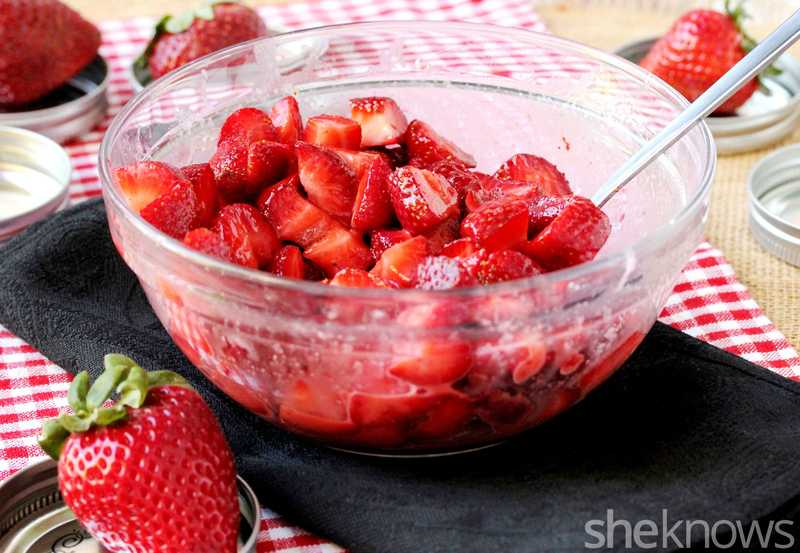 To a medium-size bowl, add the berries, lemon juice, sugar, brown sugar and cornstarch. Mix all ingredients together, and set aside. Heat the oven to 375 degrees F. Roll out the pie crust into a 9-inch round. 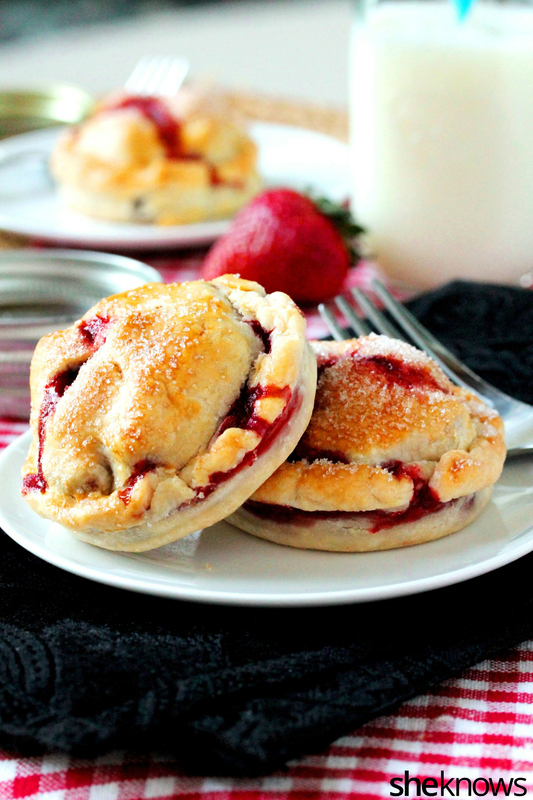 I used premade pie crust dough that I bought in the dairy section of the grocery store. The lids I used were 3 inches in diameter, and the pie crusts need to be 1 inch larger in diameter. So I hunted around my cupboards for a small bowl or glass that was 4 inches in diameter. I found these cocktail glasses that worked perfectly for cutting the pie dough. An alternative is to use the inside of the Mason jar lid as a cutting guide, and cut the dough 1 inch larger in diameter. 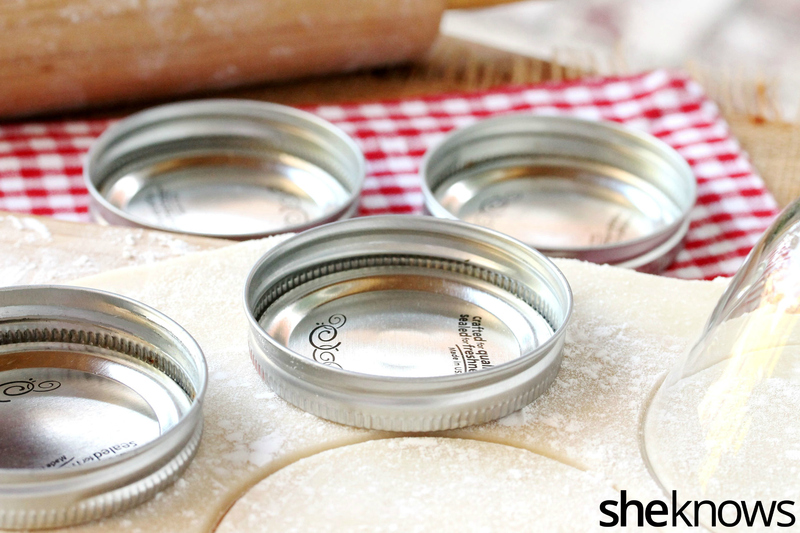 After cutting the dough rounds, make sure to turn the bottoms of the Mason jar lids over so that the bottoms of the pies will be in contact with the metal sides (instead of the sides with the rubber seal on it). 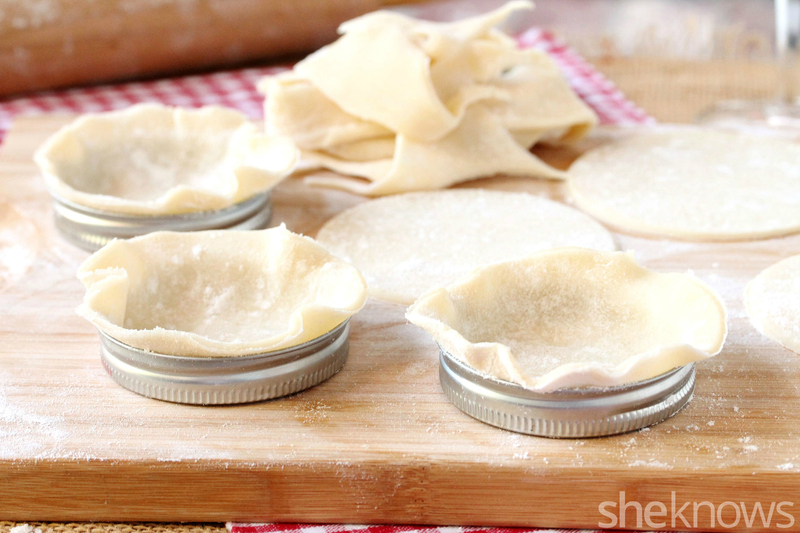 Lay a pie crust evenly in each Mason jar lid. 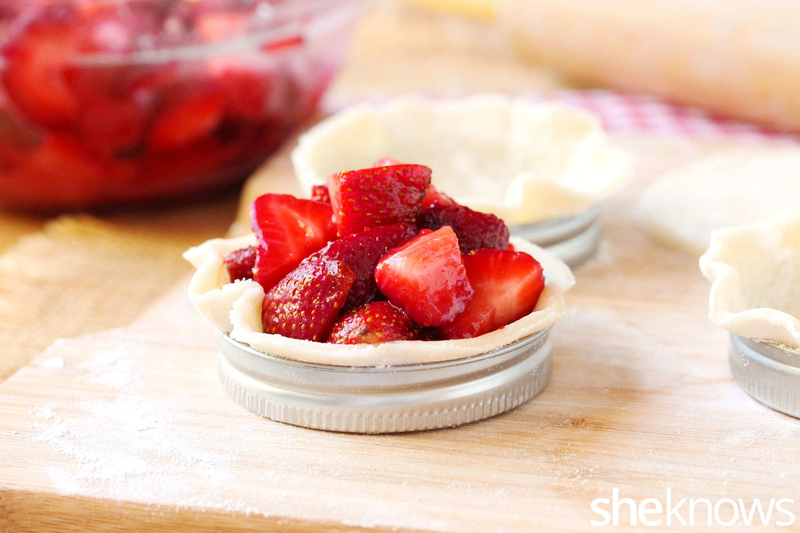 Use a slotted spoon when filling the pie crusts with berries. 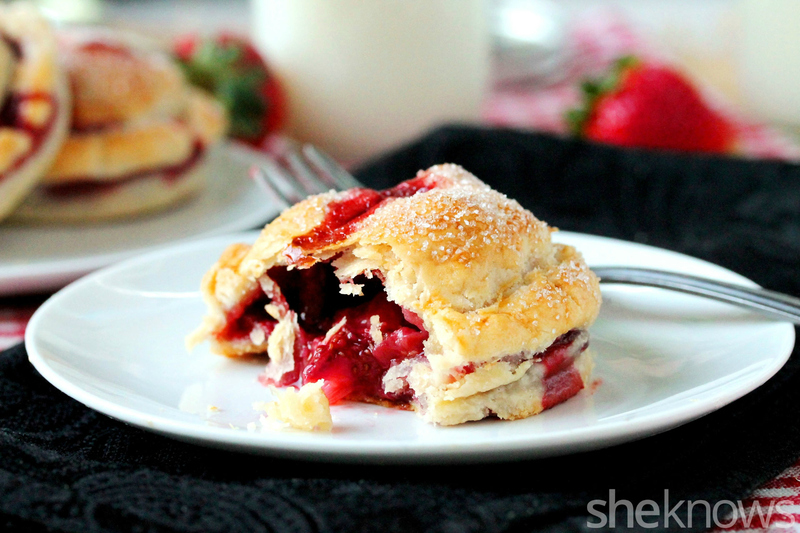 Try to not get any of the juice in the spoon when transferring the berries to the pie crusts. Dip your finger in water, and run it around the inside edge of the bottom pie crusts. Then top the pies with another round of dough. Pinch the edges together so the crusts are tightly sealed. Then roll and tuck the edges of the pie crusts on the inside of the lids. This is important, because if the pie crust is on the outside of the edge, it will droop and hang off the sides when baked. Make slits on top of the pies so steam can escape. 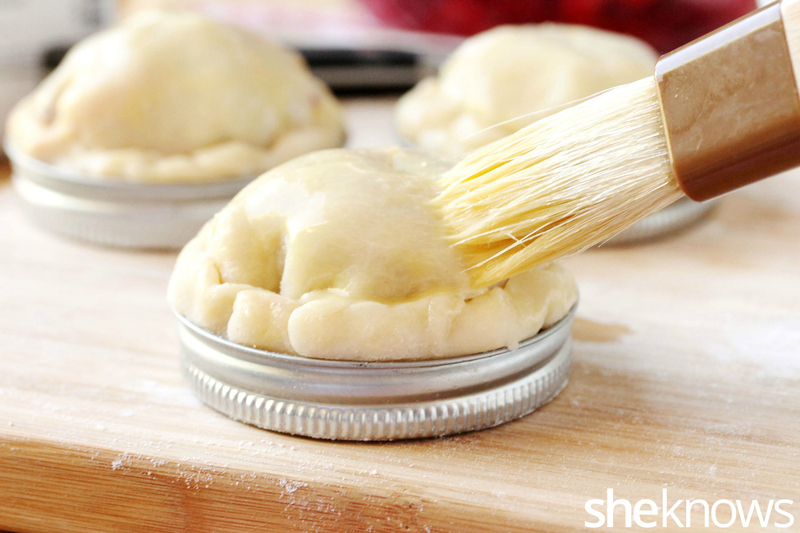 For the egg wash, whisk together the egg yolk and water, then brush it on top of each pie. 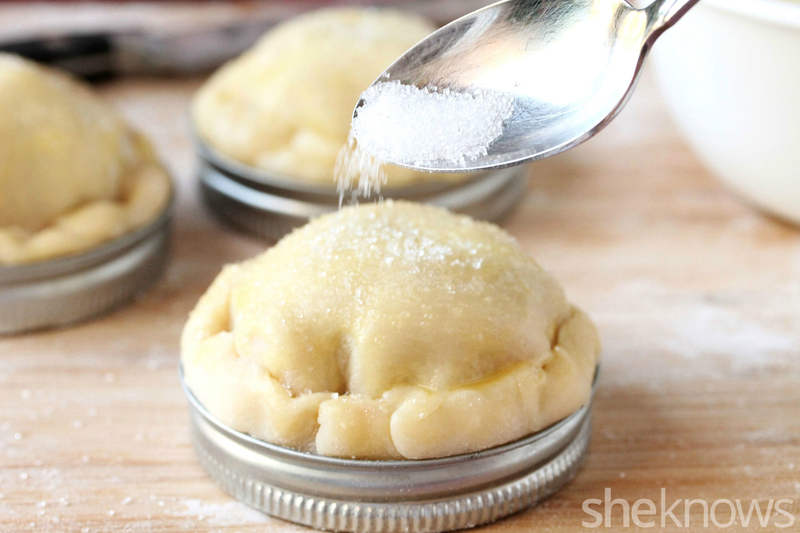 Sprinkle sugar crystals on top of each pie. 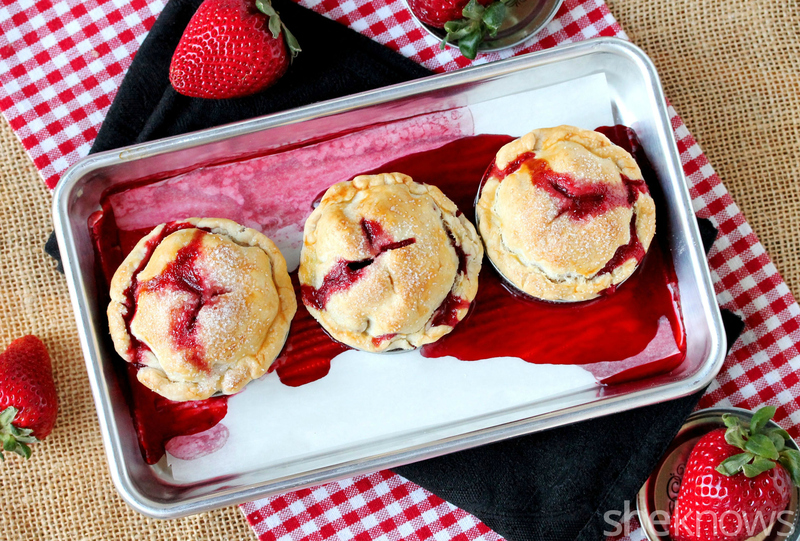 Line a baking sheet with parchment paper for the juice that may run over the sides of the pies. Bake until the crusts are golden brown (about 35 to 40 minutes). Let cool until the lids are cool enough to handle. Then carefully push the bottoms of the lids up and out of the rim sections of the lids. 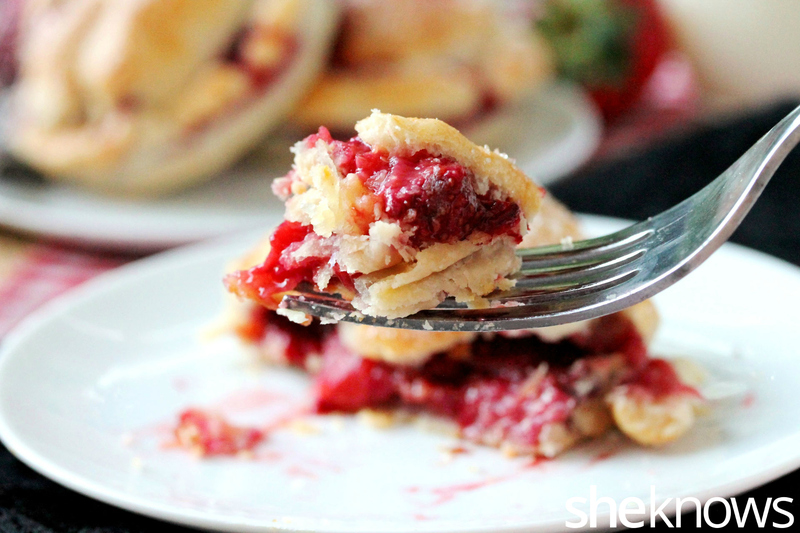 Carefully remove the bottom sides of the lids from the pies. And then the best part, take a bite of these yummies. These are best when served right after removing them from the lids, when they’re still warm on the inside. 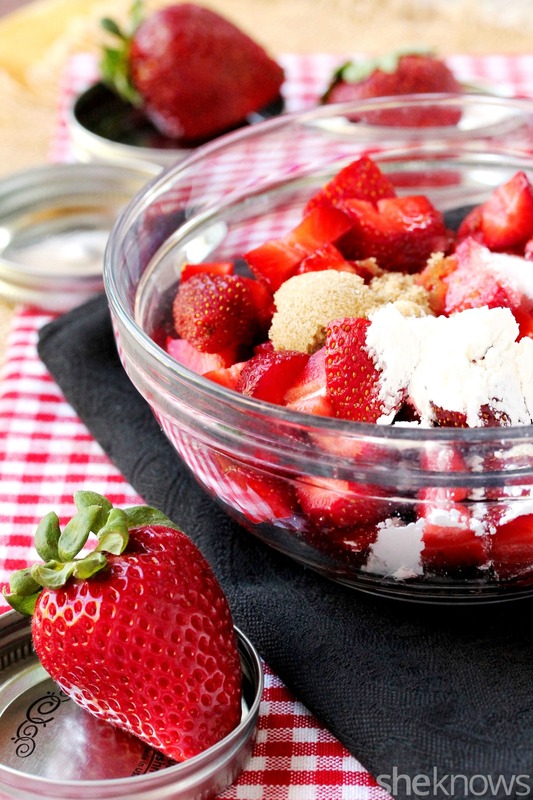 To a medium-size bowl, add the berries, lemon juice, sugar, brown sugar and cornstarch. Mix together, and set aside. The pie crusts need to be 1 inch larger in diameter than the Mason jar lids. 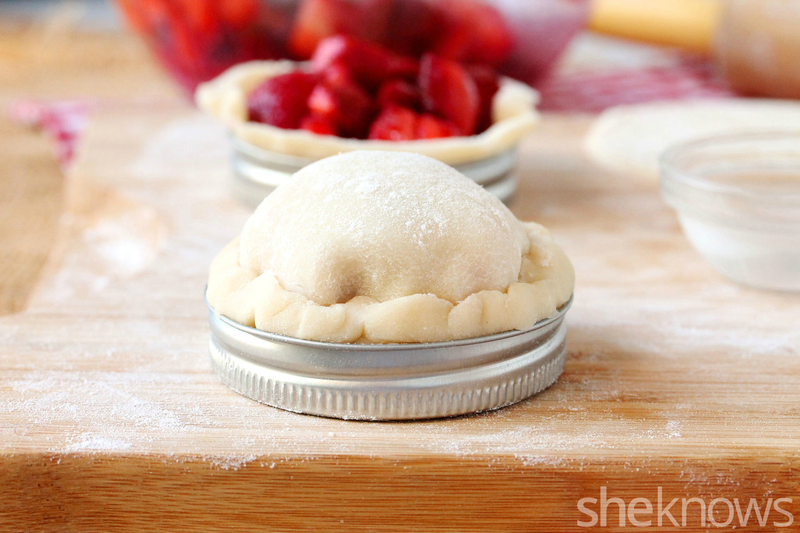 If using 3-inch-diameter Mason jar lids, the pie crust rounds need to be 4 inches in diameter. 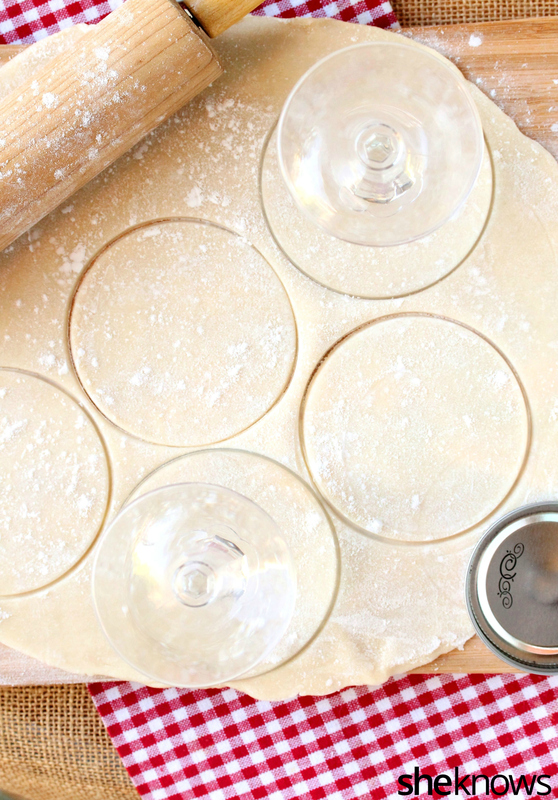 For cutting the pie dough, use a glass or small bowl that is 4 inches in diameter. Or use the inside of the Mason jar lid as a cutting guide, and cut the dough 1 inch larger in diameter with a knife. 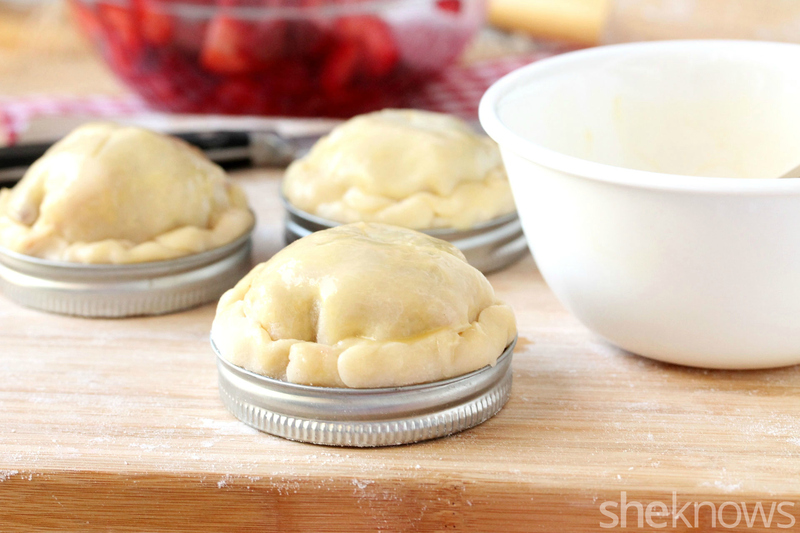 Lay a pie crust evenly in each lid. 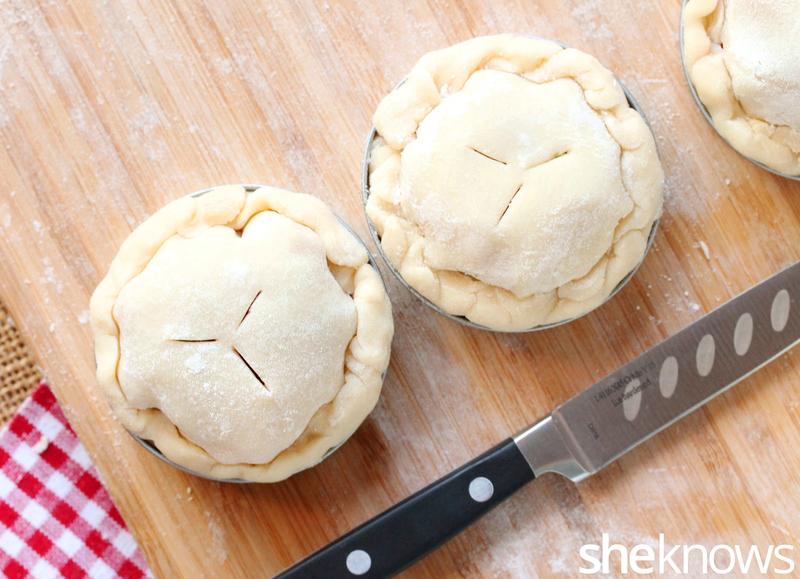 Pinch the edges of the pie crusts together so the edges are tightly sealed. 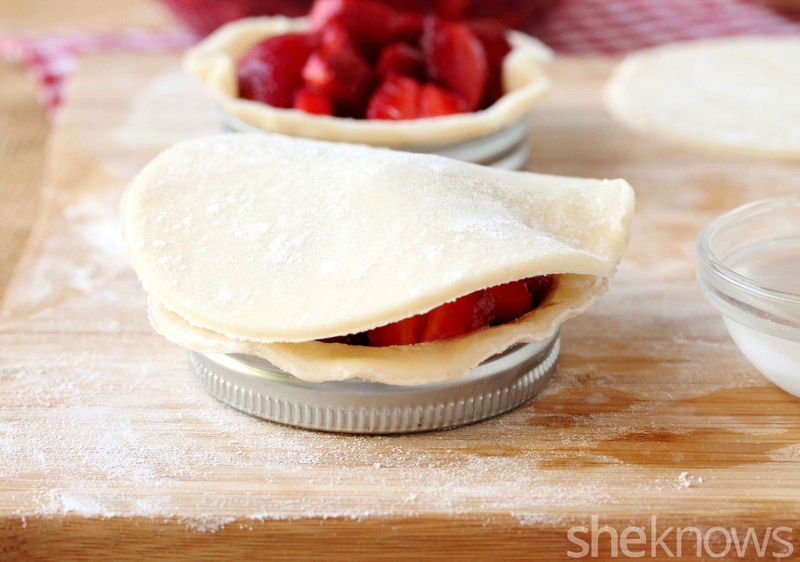 Roll and tuck the edges of the pie crusts on the inside of the lids. Make slits on top of the pies so the steam can escape. Whisk together the egg yolk and water. Brush it on the top of each pie. Sprinkle sugar crystals on top. Line a shallow baking pan or cookie sheet with edges with parchment paper. Set the pies on top of the parchment paper, and bake until the crusts turn a golden brown (about 35 – 40 minutes). Let cool until the lids are cool enough to handle. 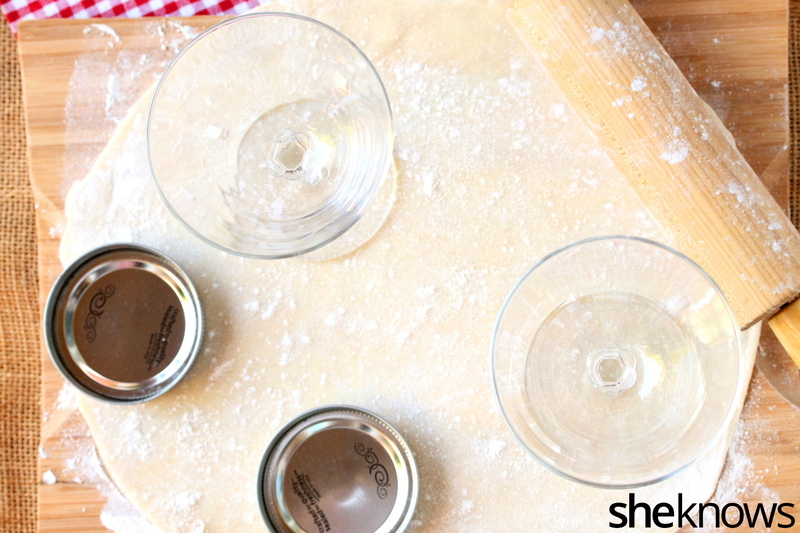 Carefully push the bottoms of the lids up and out of the rim sections of the lids. Then carefully remove the bottom parts of the lids from the pies. Serve as soon as the pies are removed from the lids, when they’re still warm on the inside.